The Wachowski boys’ movie adaptation of Alan Moore’s V for Vendetta is being roundly cheered by libertarians, including my friends Brian Richardson and Butler Shaffer. Butler quite rightly says it’s not only the greatest anti-state movie ever but one of the best films (regardless of content) ever made. I’d add that until somebody has the balls to faithfully adapt Vin Suprynowicz’s The Black Arrow for the screen, V for Vendetta is the new standard by which tomorrow’s politically radical films will be measured. But I think many libertarians are missing (or avoiding) an important point when they applaud the movie as merely a powerful “political fable” or “cautionary tale.” V is an out-and-out cinematic tract about the eternal right of revolution, an issue essential to historical radical libertarian theory but largely ignored by today’s broad freedom movement. In V’s Britain, “consent” has been wrung out of the governed through lies, repression, and torture. Revolution, as defined by John Locke, Algernon Sidney, and Thomas Jefferson, is absolutely justified. But how does V’s call for revolution apply to us Americans, right now? If a manifestly abusive government can be justly overthrown, is the U.S. government an example of such a regime? In the Declaration of Independence, Jefferson listed 27 specific complaints against the British Crown. Go on. Look ’em up. The complaints still sound reasonable, and not just to 18th Century ears. By Jefferson’s standards, the present U.S. federal government is tyrannical. Has every other avenue for changing our course been closed? What avenues are actually open to us in this so-called “democracy”? Most Americans are now rightfully cynical about pursuing change through referendums. They’ve seen every “populist” state initiative, covering issues from immigration to medicinal marijuana to Affirmative Action, shot down by the federal courts after having passed by landslide margins. There’s a tremendous disinterest in electoral politics nationwide. But maybe disinterest is the wrong term. Perhaps a better term would be lack of faith. Should the American people be considering extreme measures to deal with their plight? Americans already are. Many are reading the Bill of Rights for the first time — and challenging the federal government’s interference in their neighborhoods and communities. The issue of eminent domain is discussed critically in newspapers, on blogs, and on talk radio, by both Right and Left. The idea of secession is now a hot button both Right and Left. The home schooling movement is also still growing, as people have begun questioning not just the quality or safety of, but the very philosophy behind, oppressive and repressive government schools. Is it morally obligatory for men of good will to pursue the path of revolution right here and now? That’s the question being posed by V for Vendetta in theaters this weekend. And it’s a question that should be on the hearts and minds of all members of today’s freedom movement. Terrific post, Wally! I just finished my first-impressions review of V for Vendetta, and need to get to bed, but I intend to pipe up on some of your points soon. Having read Butler's review, I will definitely be seeing "V". As to revolution, maybe ... when movies like this have become smash hits...a number of 'em. OTH, you are I will not be in charge of the revolution and aren't most compromised by 5th Columnists anyway? different-flavored tax collector after a lot of spilled blood. Some day it'll come to pass, I expect. In the meantime, I smell blood in the wind. Here you go, Wally: Taking Up Wally's V Debate Invitation. Thank you for asking these questions. Wally, you ask the right questions. At the end of "V" and cheered and cried both--cheered for the message of hope and cried, for the message of hope and also for the sorry state we are now in. I am about finished with Edward Cline's third "Sparrowhawk" novel. What astounds me about these books is not just the depth of his research, but the fact that common Englishmen were so close to rebelling against the abuses we chose to fight. Too bad they didn't. I hope this movie also rings a very clear bell to our English brethren--the most surveilled folks on the planet. 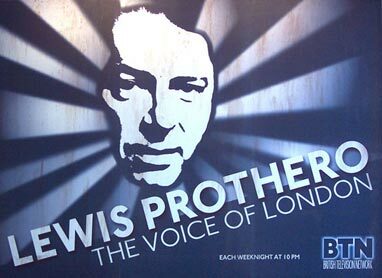 After all, Orwell was British. As to how it will galvanize folks here--they're not ready yet. Thngs are not bad enough for the masses to rise up.But the pot is simmering. This movie adds fuel to the fire whether the sheeple realize it or not. 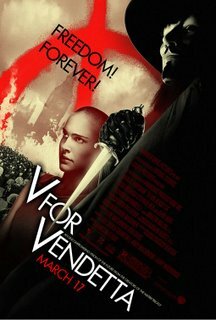 I saw V for Vendetta Saturday 3/18. I found it entertaining. I am hard pressed to find anything of lasting import in this film, however. 1. Minor gripes: At the moment when the masked crowd charges the police, it struck me as a "deus ex machina" that the police did not fire. I believe the State will defend itself to the death and the State's actions were not adequately explained, even allowing for their meager reliance on failure to receive orders from above. Second -- small quibble -- the character V quotes Einstein, "God does not play dice with the universe." Admittedly, the story was written way back in 1981 when quantum mechanics was very poorly understood, but accepted theory now is that God in fact DOES play dice with the universe. The subatomic realm has been shown to be dominated by possibility, including several potential universes simultanously. 2. For there to have been any meaning in destroying the government in the film, an epilogue explaining the changes in the system was required. I understand the impossibility and undesirability of attempting to demonstrate what an anarchic society would look like, but as greater minds than mine have discerned (John Hasnas, for one) that some explanation is preferable to none when preaching to others than the choir. This lack of even a hint of blueprint for a non-Statist society renders the film an action/adventure movie only -- not a political statement. Like most anti-State rants, there's a whole lot of complaining and no plan. 3. Along the above line of thinking, there is at least one writer mentioned in all of this (I leave it to you to determine who that might be) who advocates walking away from the system as the best course of action. It comes as something of a surprise to me that he strongly endorses this film, as the main character does anything but walk away from it, instead confronting it as directly as possible. 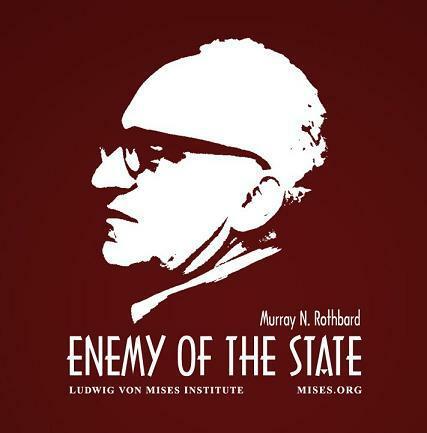 While outcomes of any given action are not necessarily predetermined, it strikes me as intuitive (and deductive as well, based on historical events) that confronting the State directly is suicidal for the individual and only serves as an excuse for the State to increase its power when it is confronted by group action. 4. This film will ultimately be meaningless in the pursuit of freedom, else it's effect will be so diluted as to be negligible or unproveable. There have been many such films (supply your own examples or choose from The Fountainhead, The Ox-Bow incident, the Americanization of Emily, 1984, The Wizard of Oz, etc.) and look at the mess we find ourselves in now. Face it, people, the revolution will not come from Hollywood! I just wanted to end all this falling-all-over-ourselves bandwagonism and get back to reality. V for Vendetta is not even close to top echelon film-making among action/adventure films, let alone a panacea for Statism. All my most humble opinion, of course. Too many commentators on this film fail to appreciate its main value: to get people to consider the interplay between peace and violence; between liberty and tyranny. There is a complexity to all of this that can only be resolved by our willingness to examine –- deep within our own minds –- the inconstant forces that draw us to one or the other kind of behavior. In his process of “individuation,” Carl Jung has emphasized the importance of our accepting the “dark side” of who we are, rather than projecting such “shadow” traits onto others, against whom we might then be inclined to take punitive action. As one who rejects violence, in any form, as a way of resolving problems, I was nonetheless quite impressed by V for Vendetta -– violence and all -– as a vehicle for allowing us to explore how peaceful men and women are to deal with the violence of the state. James Greenberg expressed “surprise” that I (I am assuming he had my views in mind) would so value a film that was awash in violence. In so doing, he fails to appreciate the catalytic role such a movie can play in our self-exploration. Art –- for which this film clearly qualifies -– deals in metaphors, not literal blueprint designs. The idea of engaging in violence against the machinery of the state -– without the inner transformation each of us must go through in order to live the free and peaceful life -– would, as he suggests, leave us in an even worse position than we are in now. The state would use such attacks as a reason for increasing its police powers, a response that those with a servile mind will eagerly support. On the other hand, once this inner change occurs, we will have ended our dependence on state systems, and be prepared to simply walk away from them. James criticizes this film for its failure “to demonstrate what an anarchic society would look like”; of failing to provide “even a hint of blueprint for a non-Statist society” or a “plan.” Here, he makes the same mistake as so many other libertarians: treating “anarchy” as a noun (i.e., a place, a specific system) rather than a verb (i.e., ways in which people deal with one another without force). The idea of a “planned” anarchistic society is simply too much of a challenge to my sense of humor. Suffice it to say that I have no idea how 300 million -– or, for that matter, 6 billion –- people will choose to deal with one another once they free themselves from state violence to adopt whatever systems and practices suit their individualized needs and preferences. I agree with James’ conclusion that “the revolution will not come from Hollywood!” The only “revolution” worthy of pursuit is not that which leads us to such desperate actions as blowing up buildings, but to dismantling the structures of statist systems in our own minds. "Like most anti-State rants, there's a whole lot of complaining and no plan." Isn't that the point? We aren't looking for any central planning in anarchy, no thought-out plans of how society will manage itself. I do want to clarify that I qualified my objection, "I understand the impossibility and undesirability of attempting to demonstrate ... an anarchic society ..., but ... some explanation is preferable to none when preaching to others than the choir." In other words, it is far easier for the uninitiated to dismiss these radical ideas outright if the proponent offers no vision of the future. It is a Catch-22, I admit. Perhaps persuasion in this case is self-defeating. I recently discovered the following wisdom, and forgive me forgetting the source and for paraphrasing: "Perfect freedom should not be viewed as a goal but as a guiding star, much as navigators of old used the North Star to guide them to their destinations with the knowledge that they would never get to the North Star." So, Butler, I appreciate the allegory of the sculptor of which you wrote and whom you embody. Thanks in large part to discovering your writing (among distinguished others), my thoughts are dominated daily by musings on anarchism and radical individualism. Certainly I agree that thrusting anarchy externally on the masses is beyond comprehension. This is not the plan I had in mind. While we can disagree over the quality of filmmaking evident in V for Vendetta, perhaps films such as V together with our combined efforts will eventually provoke other individuals to realize that we already live anarchically every day in thousands of ways and it is just a matter of patience and persistence until the State withers away. It is my contention that had V demonstrated more mundane individualism rather than sensationalized violent individualism, its message would resonate longer. As violent as the State is, the overt violence is merely the tip of the iceberg of daily, mundane oppression we all contend with. This is what goes largely ignored, and what perpetuates the system. James, if you haven't already done so, perhaps a reading of Butler's excellent book Calculated Chaos would be of value to you. You wrote, It is my contention that had V demonstrated more mundane individualism rather than sensationalized violent individualism, its message would resonate longer. Perhaps that's true, but that movie would be so far removed from Alan Moore's original graphic novel that it couldn't really be called the same story. Some days I get angry enough about the situation here in the USSA that thoughts of spilling blood come to mind, and that's always a sharp jolt. Similarly, I think that V's "violent individualism", as you call it, creates a strong jolt for more mainstream viewers of the movie — especially absent the anarchist underpinning from the book. "Mundane" rarely challenges individuals to attend, much less to think. I'm hopeful that after viewers experience that jolt, they'll become curious, and will find sites like this one, and learn about the more mundane, and very common, elements of anarchy running through society. Thanks for recommending Calculated Chaos. A copy gazes over my shoulder from my bookcase as I type this response. I won't belabor the forum with a review of it -- suffice to say that I find Butler Shaffer's logic impeccable and his moral foundation rock solid. As always, I very much appreciate him taking the time to clear up inconsistencies I perceive. 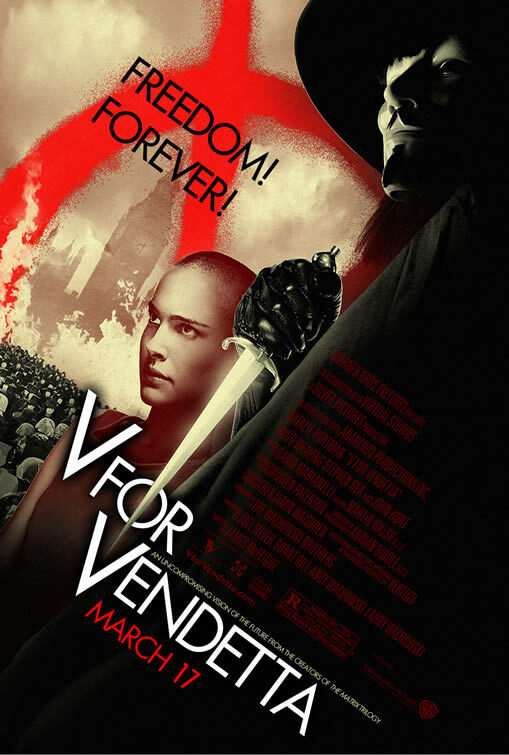 Regarding this thread, my disagreement is purely confined to the film V for Vendetta and our divergent estimations of its impact, quality and lasting influence. 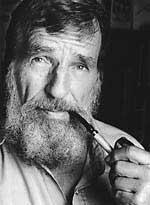 James wrote, "It is my contention that had V demonstrated more mundane individualism rather than sensationalized violent individualism, its message would resonate longer." Sunni responded, "Perhaps that's true, but that movie would be so far removed from Alan Moore's original graphic novel that it couldn't really be called the same story." This is undeniable, and the corollary to your statement is that I should go out and write my very own anarchist novel. I very well might! Your wish that V for Vendetta might be a slap-in-the-face to some is a hopeful message. I forget what my slap was. I was a dyed-in-the-wool statist not too long ago. It seems to me in retrospect that it was gradual, though -- the cumulative effect of reading novelists Orwell and Rand, essayists Hornberger, Richman and Shaffer and bloggers like Strike The Root, Lew Rockwell and Justin Raimondo. Perhaps V for Vendetta is a catalyst. I won't rule it out. I think that only some people can identify one clear slap; with others, it's more likely the cumulative effect of many small slaps that one day, unexpectedly tumble one over the waterfall. And yes, I'm hopeful — I'm almost always hopeful. James, if you write an anarchist novel I'll read and review it in my Salon. I've had many "cachetadas," thank you. So many that I'm becoming a masochist. The best part is that I've seen a network growing over the last 15+ years, and I can tell you - the remnant is still there...and growing. You are too kind. Roger Ebert is a Good German, of the 1930's variety. 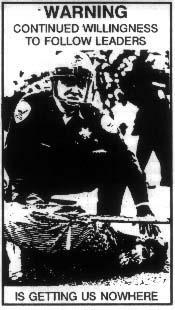 "At the moment when the masked crowd charges the police, it struck me as a "deus ex machina" that the police did not fire. I believe the State will defend itself to the death and the State's actions were not adequately explained, even allowing for their meager reliance on failure to receive orders from above." On the contrary - the commander appeared to receive orders not to fire (presumably because he'd have several hundred thousand bodies to explain away on behalf of a no-longer-living dictator). So no "deus" or "machina" required. As others have said, parsing the film for policy guidance misses the point of the film (and lessens its dramatic impact, I think too). James, go see it again without quite such a critical eye, and you might see how while almost certainly not THE best film EVER made, still does an excellent job of porting a 25-year-old anarchist comic serial into an amazingly immediate, entertaining movie that is proving to hold the attention of not just us committed idealogues, but the public at large, in numbers great enough to possibly convince a significant number of people to think about the worthwhile ideas in the film. What a delightfully subversive thing this is - art that entertains while it makes you think. And the effect on the far-right press illuminates just how far from the ideals of freedom and democracy they have drifted. All in all, quite a bundle for one film to bear, and the fact that it does so so well is reason enough to give the film the highest praise. "Dare I quote the Declaration of Independence, Roger? “Governments are instituted among Men, deriving their just Powers from the Consent of the Governed...”"
How does that passage argue against Ebert? He obviously agrees with the Dclaration that just government is possible. Mr. Kennedy, you should quote the whole paragraph and play fair. I wasn't talking about a notion of "just government" being possible. (I frankly don't believe that such is possible.) I was referring to Ebert's remark that "governments and their people should exist happily together." (My italics) By his statement, it's clear that Ebert believes the people belong to, or are the property of, government. The Founders contended that government exists only by the consent of the people. I was referring to Ebert's remark that "governments and their people should exist happily together." He prefaced that with "...in the ideal state...", meaning under just government. "The Founders contended that government exists only by the consent of the people." They contended that just government exists only by consent. They did not dispute the existence of an unjust government which existed without their consent. In this Ebert agrees with them so your citiation does not dispute him. The problem is that the passage you approvingly cite entails a profound error: "Consent of the Governed" is a contradiction. This is not something the Founders got right that Ebert gets wrong. He gets things wrong by accepting their words that you cite approvingly. So why don't you tell me what your point really is? That by citing that passage you affirm the very error you attempt to correct Ebert on. Ebert's error is not that he rejects this but that he embraces it. No, Ebert's mistake is that he doesn't realize that V is quoting Thomas friggin' Jefferson. "They destroyed my brain, too"